You are reading this right now because I was unable to hike, and instead decided to reminisce while trapped at home. I made this trek March, 27 of 2013, as it would be best done early spring or fall, giving max daylight with mild conditions for a 26 mile / 6,300’ hike. 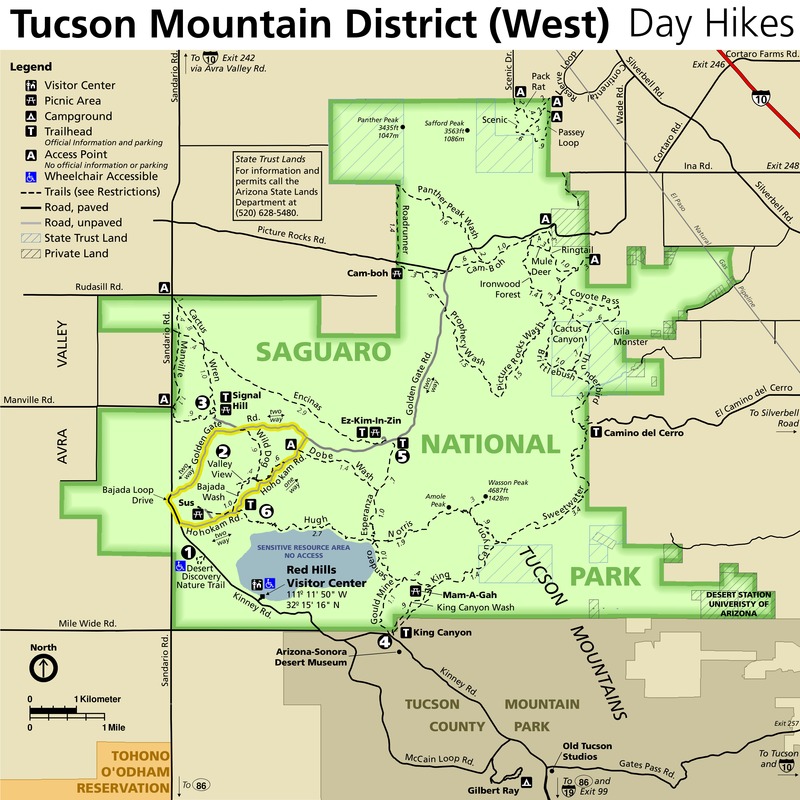 This adventure begins at the Douglas Spring trailhead, at the east end of Speedway Blvd n Tucson’s far, east side. From the parking area, you head predominantly east, with a slight drift to the south. 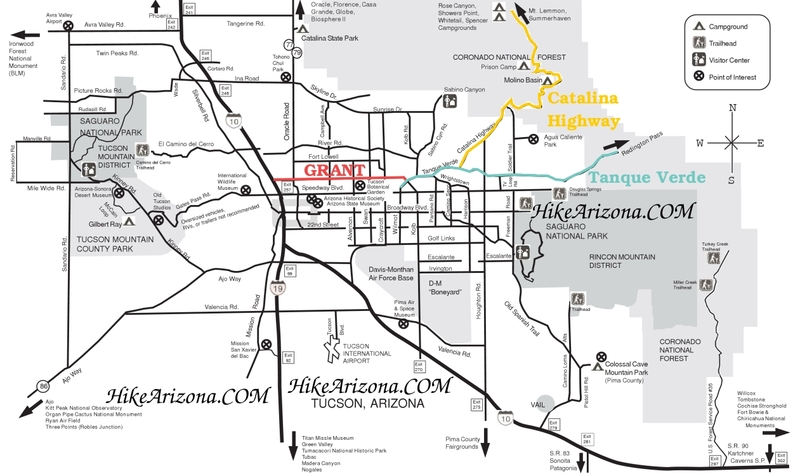 In the first 6.5 miles, you gain a mere 2,200’ as you transition through various venues of middle desert, before arriving at the Douglas Spring campground. This is a rather small campground with only 3 campsites as far as I can tell. It does, however, boast the finest outhouse in all the Rincon campgrounds, and a hitching post. On the south edge of the camp ground, the Douglas spring can often be found. 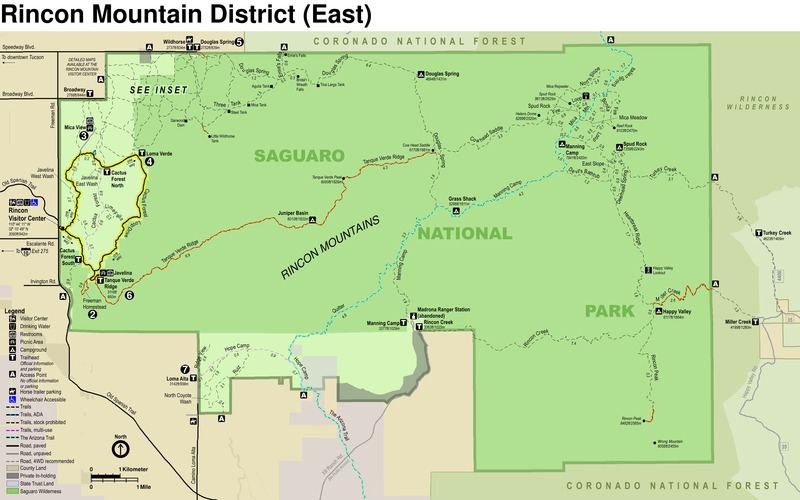 Though I have seen attainable water here each time that I’ve passed, it is my understanding that this spring is considered dry by the forest service, and should not be considered a dependable water source. Once you depart the spring, you head south and start to climb, and soon enough, you’ll realize you’re not in Kansas anymore. You’re now gaining about 600’ per miles, steadily, without relief. This leg of the trip is about 2.4 miles up an ever eroding ravine. I prefer this section on a moist day when the trail doesn’t try to fall out from under me. You just need to be a bit careful in the section of the hike. The next checkpoint is the intersection with the Cow Head Saddle trail and you will have put on another 1,450’ of gain getting here. Again you push eastward and again climb steadily. To me, this seems to be the toughest part of the hike, though statistically, it’s a touch lighter than the climb up the ravine. I guess it’s a mental thing. At any rate, shortly after you begin the Cow Head section, you start coming into pine. The views here aren’t the greatest, but that kind of lends to a feeling beyond solitude, and more like isolation. You will have come 3.5 miles and gained 2,100’ more aeg along the Cow Head when you top out for the day. Now all that’s left is to drop down into Manning Camp, about 6/10 mile all downhill and enjoy the atmosphere. 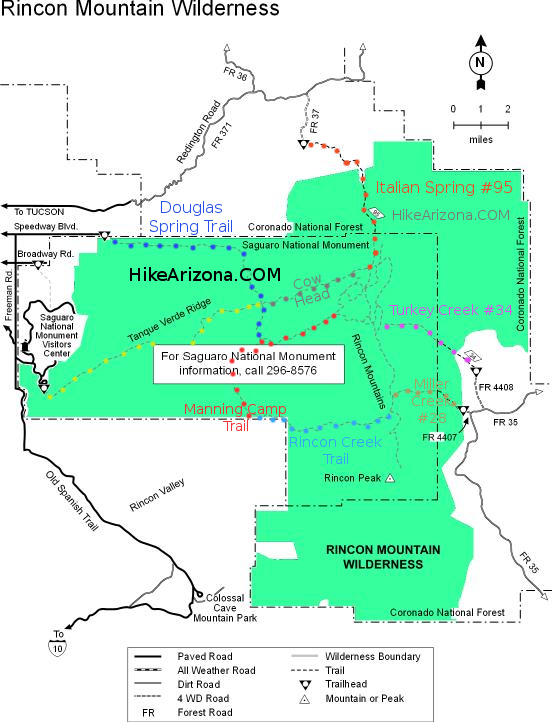 There are also a number of side excursions in the area if time, weather and water allow; Mica Mountain, Spud Rock, Reef Rock, Devils Bathtub, are all nearby. 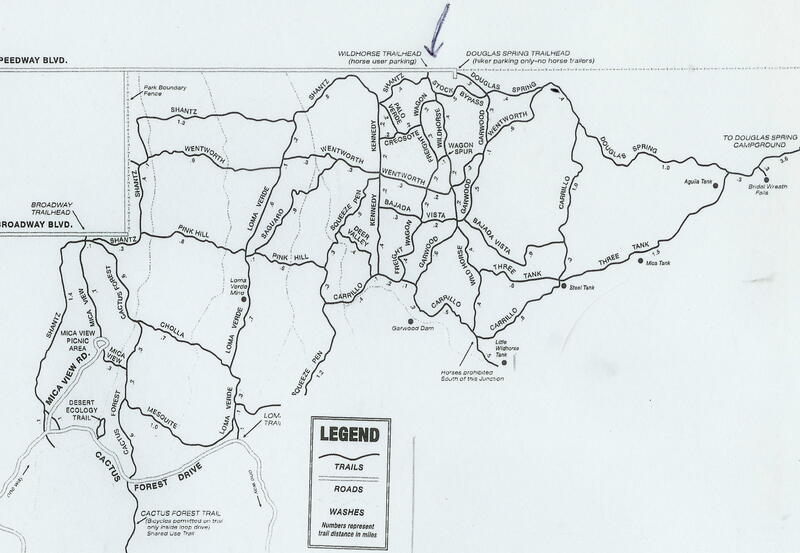 From I-10 & Speedway Blvd exit #257, travel East on Speedway Blvd 17.4 miles to the trailhead. The final major crossroad will be Freeman and "Dead End" signs will begin to appear. The trailhead is a small parking area with a picnic able and ample signage at the dead end of Speedway.